Call (312)278-7065 Anytime For a Free Quote Now! Want Prices? Please contact us with the specific information about your lock, vehicle or problem as well as your zip code so we can give you an accurate price. The Best Locksmith Service Around Guaranteed! No matter what the problem you deserve a local Chicago locksmith who puts your needs first and foremost. If something isn't right, we'll make it right. 90 Day Parts/ Labor Guarantee. You deserve to know your locksmith will be there for you no matter what. You will receive an iron-clad 90 Day Guarantee on all new parts and labor and year satisfaction guarantee. No other Chicago locksmith can match this. Even a certain "locksmith magical" mega-company competitor can't conjure up a guarantee of more than 30 days! The Best Price In The Industry Guaranteed. There is no local locksmith prices or locksmith quotes that won't be met or beaten! Local saves you money. No national call center, no executives in fancy suits, no catered lunches, and no overpriced "national marketing gurus" means you save money. You will not find a better price than right here guaranteed. Click on Special Offers for more details now! Fast As 20 Minute service! We go anywhere within 25 miles. Please note our Chicago service does not extend south of Garfield Blvd. Arlington Heights, Bellwood, Bensenville, Berkeley, Berwyn, Broadview, Brookfield, Buffalo Grove, Chicago, Cicero, Deerfield, Des Planies, Elk Grove Village, Elmhurst, Elmwood Park, Evanston, Forest Park, Franklin Park, Glencoe, Glenview, Golf, Harwood Heights, Highland Park, Highwood, Hillside, Hines, Kenilworth, La Grange Park, Lincolnwood, Lyons, Maywood, Melrose Park, Morton Grove, Mount Prospect, Niles, Northbrook, Oak Park, Park Ridge, Prospect Heights, River Forest, River Grove, Riverside, Schiller Park, Skokie, Stone Park, Summit, Techny, Westchester, Wheeling, Wilmette, Winnetka, and Wood Dale. We Respond On Nights And Weekends. We have customers all over the Chicago area! 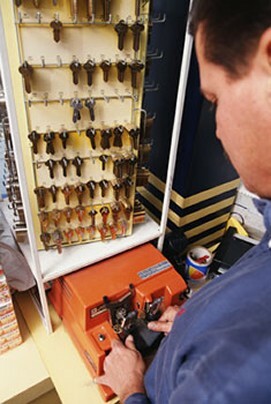 We provide the best Chicago locksmith service bar none! Benefit from great prices and excellent service no matter where you are. You'll get locksmith service fast! Benefit From 10 Years Of Security Experience. Become one of our satisfied customers all over Chicagoland. Benefit from years of experience in homes, hospitals, nursing homes, stores, and in every other setting imaginable. With almost ten years in the security and locksmith Industry, you know that you are getting the best service imaginable. Ask any question and you'll get an answer fast! Cut Out The Middleman And Save Money. Deal direct with the locksmith, not a call taker! The buck stops here! Here you'll get no excuses or buck passing . You will know exactly who you are dealing with and be able to reach us 24 hours a day! Call Now! 100% satisfaction guaranteed! Call (312)278-7065 Or Click Here 24 hours a day! You Deserve Accountability, Not Excuses. Unfortunately at many locksmith companies there is little accountability. They will often blame bad service on one bad apple. 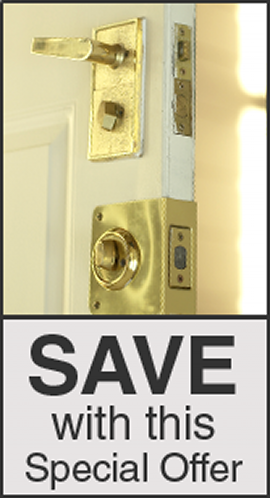 In reality the customer has probably had quality locksmith service before and knew the difference. These same companies often claim the locksmith in question has been fired or no longer works for the company and yet continues to employ them. Unfortunately this happens all too often and you as a customer pay the price. Don't get lost in the shuffle! Get the attention you deserve. You Deserve A Local Locksmith. Many locksmiths won't tell you where they are based until you give your location! Next time you call a locksmith ask them their exact address without telling them where you are calling from. If they can't tell you their location, what else are they hiding? Ask us more! Some national companies even pretend to be local when they are really out of state. They use freelance contractors who work for the highest bidder and don't care about the customer! Please don't be deceived. Ask us anything, anytime. When you need locksmith service you want a complete security consultant, not just a locksmith. you deserve a security professional who is experienced and provides fast, quality, licensed, insured, professional local locksmith services guaranteed! You Want A Locksmith Who Knows Your Name. With a huge company you are only one of hundreds of customers that call every day. To them you are just a statistic. If you need more help or advice you're just a name in a computer file. As soon as they have your money they've already forgotten you. Don't be a statistic! Get a Chicago locksmith who cares. You deserve a personal touch, a locksmith and security consultant you can trust. Most of all you want a locksmith that remembers you. Someone who cares about you, not just your money. You will get personal attention with us. Call (312)278-7065 Anytime or Click--> Get Quotes Now!